Valentine’s Day. A holiday that can illicit a thrill or a sense of dread. 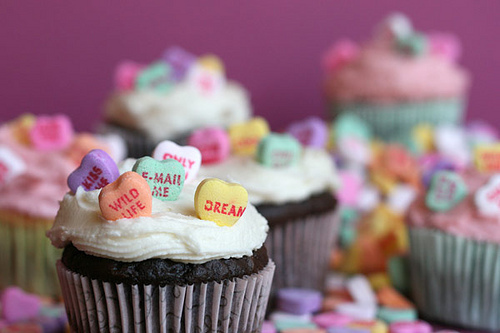 But whether you’re married, spoken for or single, you can still have fun with Valentine’s Day. We’ve chosen some of our favorite ideas. These are all very very creative but very simple. Everyone loves a potato. 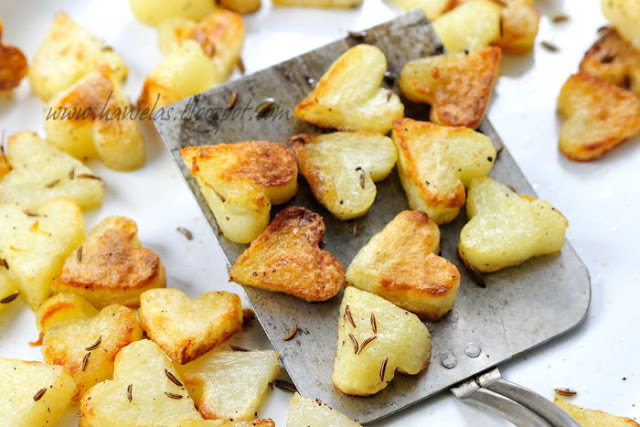 How much more will your special someone enjoy heart-shaped potatoes? Make a tossed salad. 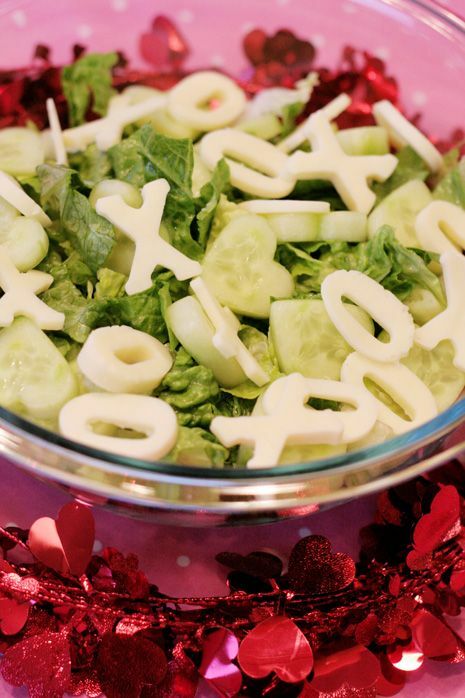 Using cookie cutters, cut out cheese Xs and Os and cucumber and red pepper hearts. Couldn’t be any easier! How cute is this? Buy a cheese pizza and some pepperoni. 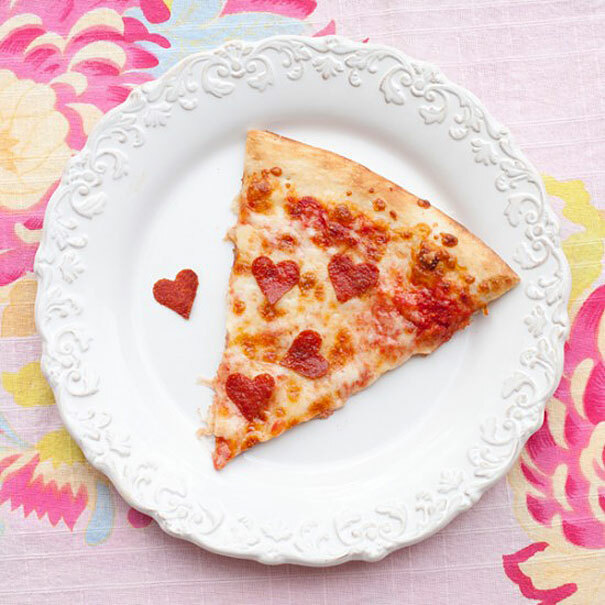 Cut the pepperoni slices into little heart shapes and put them on the pizza before baking. 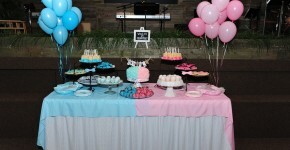 Once again, an adorable idea that is incredibly easy. 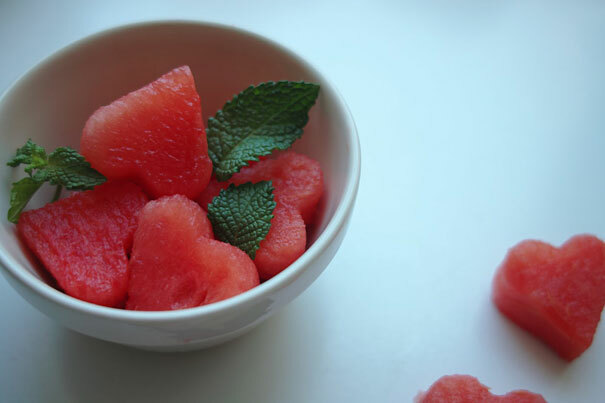 Cut slices of watermelon with a heart-shaped cookie cutter. That’s it! I actually don’t like shrimp at all, but this is too cute. 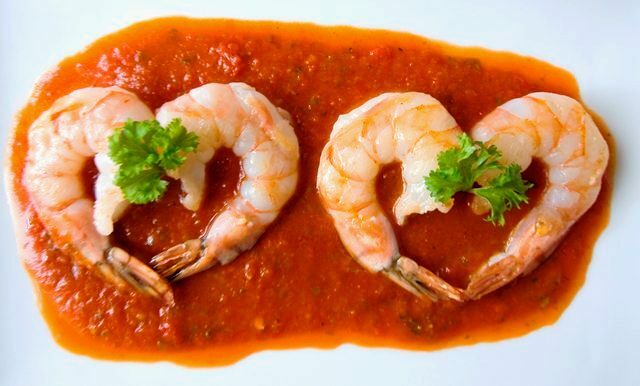 What a great idea for a Valentine’s dinner appetizer. 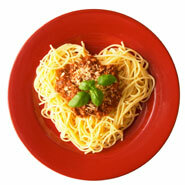 Put your pasta on the plate in the shape of a heart, make your favorite batch of spaghetti sauce, pour in the center and you’ve got a romantic spaghetti dinner for Valentine’s Day! 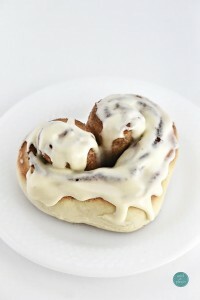 Cinnamon rolls is one of my all-time favorite foods. 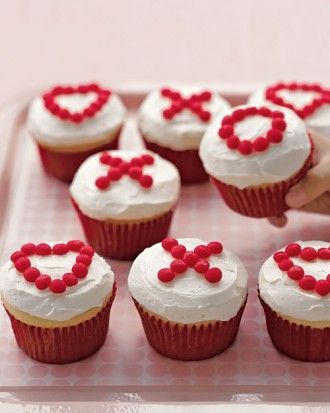 I love this idea for a sweet Valentine’s treat. Cupcakes are all the rage these days. 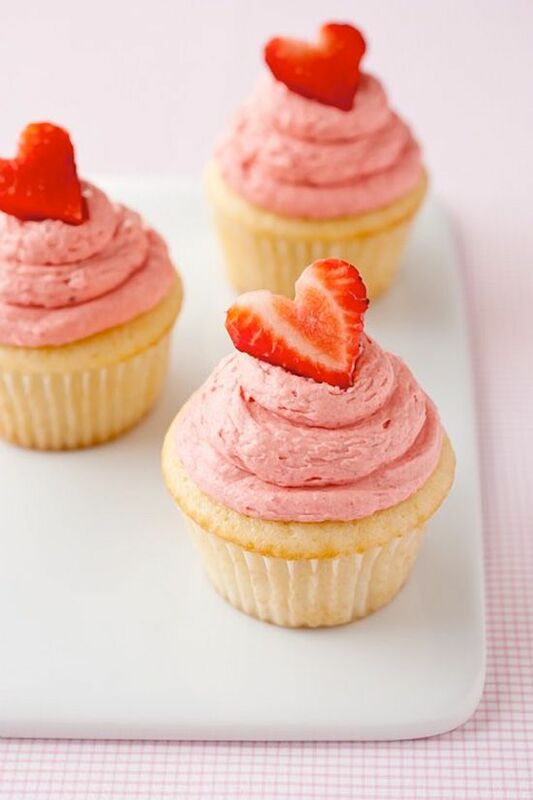 We’ve chosen three recipes that are just right for Valentine’s Day. The combination of salty and sweet is always a big hit. 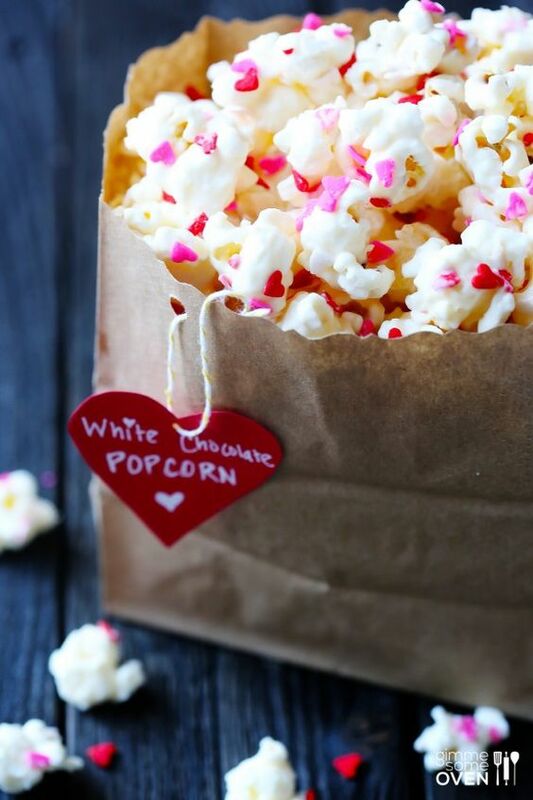 This delicious popcorn concoction is sure to make hearts swell! 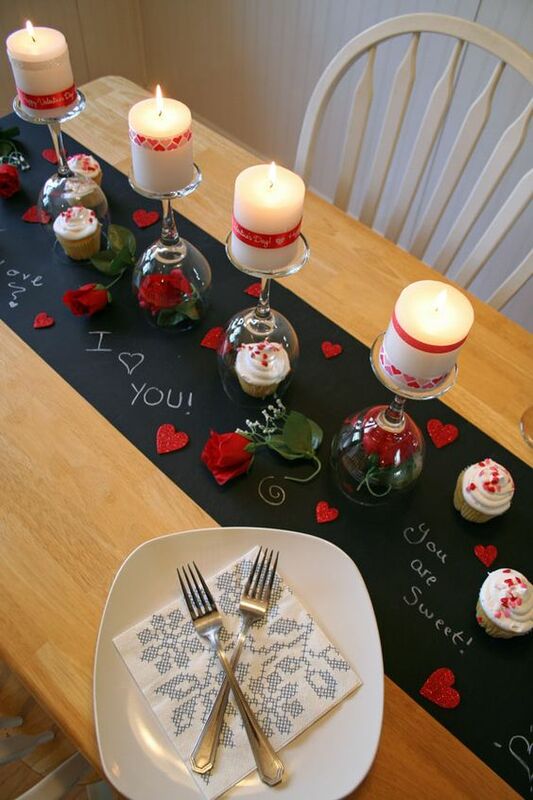 This is a creative way to set your Valentine’s table. Notice the upside down goblets used as candleholders and the paper runner with personalized notes. All good stuff! 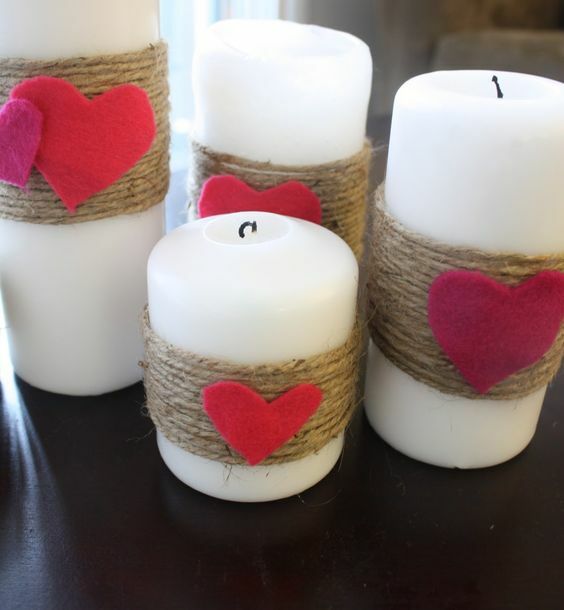 These candles are an easy way to embellish your Valentine’s table. This is another simple DIY project. 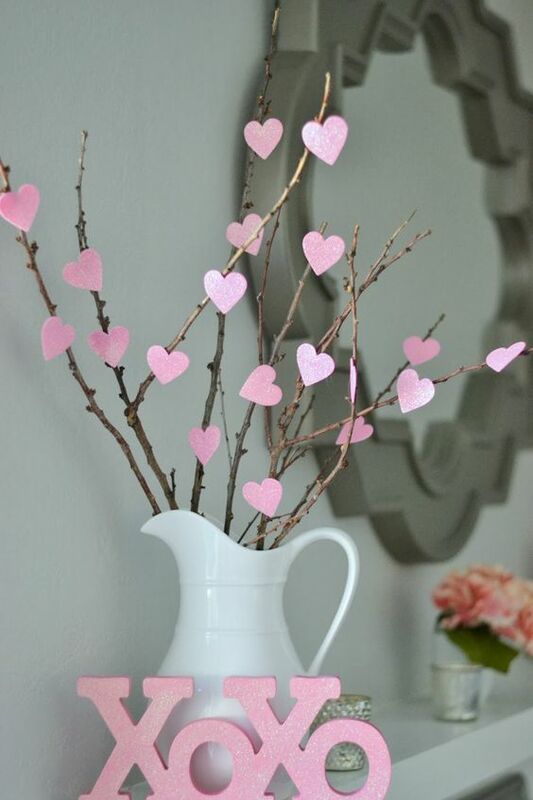 Collect some twigs from your backyard, cut out some heart shapes and hot glue to the twigs. Place them in a vase and it’s done! 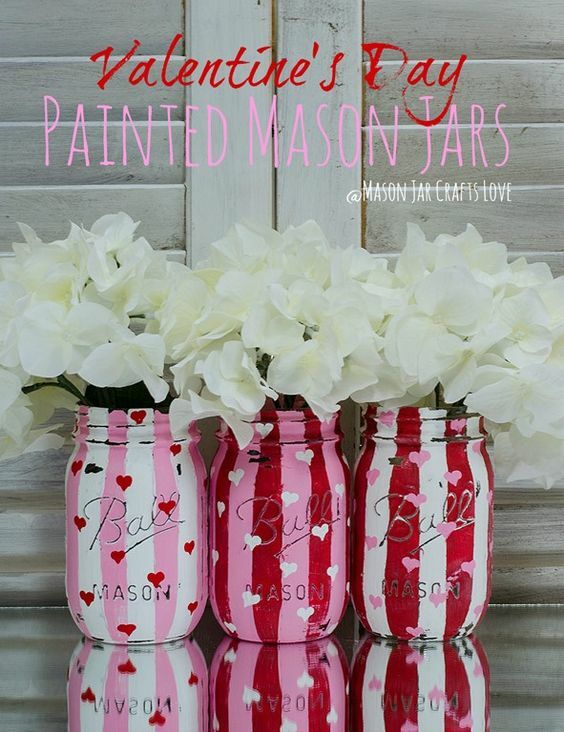 You can find jars just about anywhere and this website gives lots of great ideas to paint them for Valentine’s Day. Very cute!